Earlier this year, Cleantech Invest portfolio company Nocart announced the signing of a 200MUSD contract to develop a solar hybrid power plant in the Shangombo District of Western Province, Zambia. In Zambia, access to reliable electricity is scarce, with the country experiencing a 2,400 megawatt power deficit annually. This one project from Nocart will provide enough power to narrow this annual power deficit and potentially generate enough excess power to export to Angola and possibly Namibia. The intended use for the majority of electricity generated from this Nocart power plant will be for sugar production and for the surrounding villages in the region. Until the construction of the sugar production facility itself is completed, excess power generation is expected to be exported to neighbouring countries, providing revenue to Zambia. 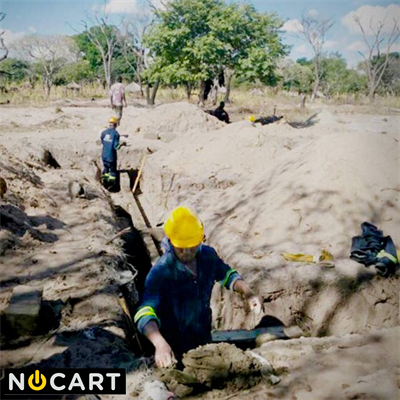 This project in Zambia is expected to be the first of many for Nocart, which has a pipeline of potential projects worth over 1BUSD. According to Managing Director Vesa Korhonen, the market potential for renewable energy in Africa is € 300 billion annually. This project in Zambia consists of a 30-40 MW solar hybrid power plant and is the first part of a 100MW power plant. The Nocart power plant will supply power to a 30,000 hectare sugar cane plantation and sugar processing factory, and is expected to crush approximately 6,000,000 tonnes of sugar cane per year.